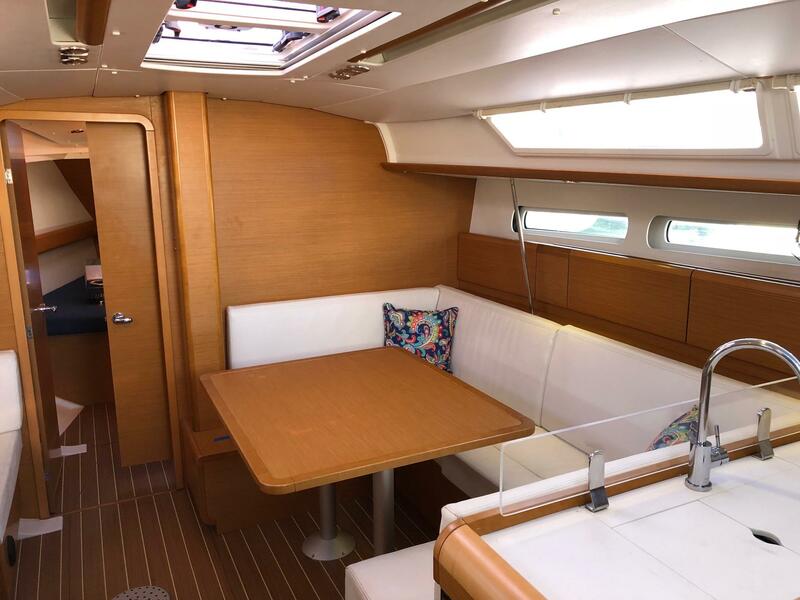 2012 Jeanneau 409, Rally Cap, has dual helms, 3 staterooms, 2 heads, and a roomy salon finished in wood with teak and holly sole. table for an extra berth. 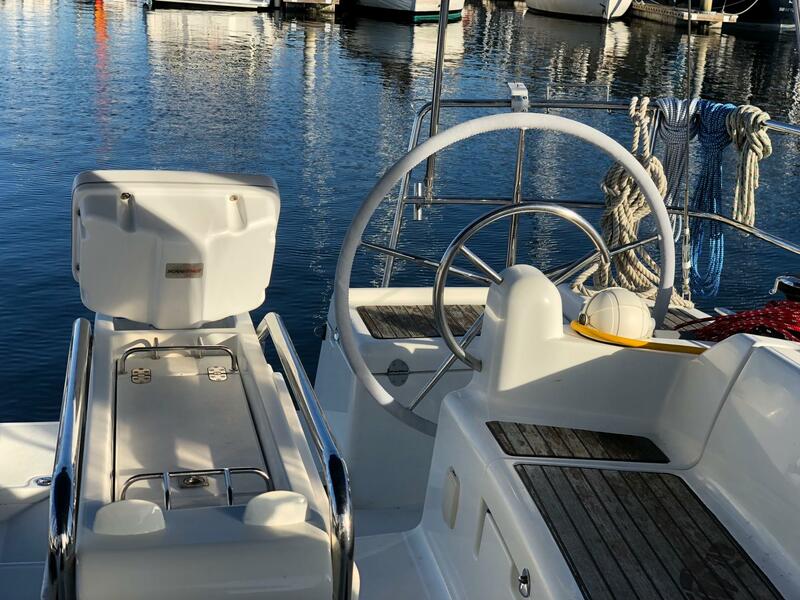 The cockpit seats 6 comfortably and features a brand new dodger and bimini top. 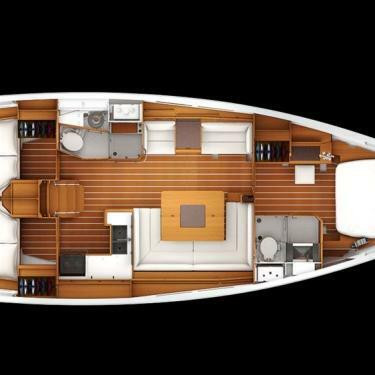 Interior is filled with natural light and welcomes you to a large settee which collapses to create an extra full berth. 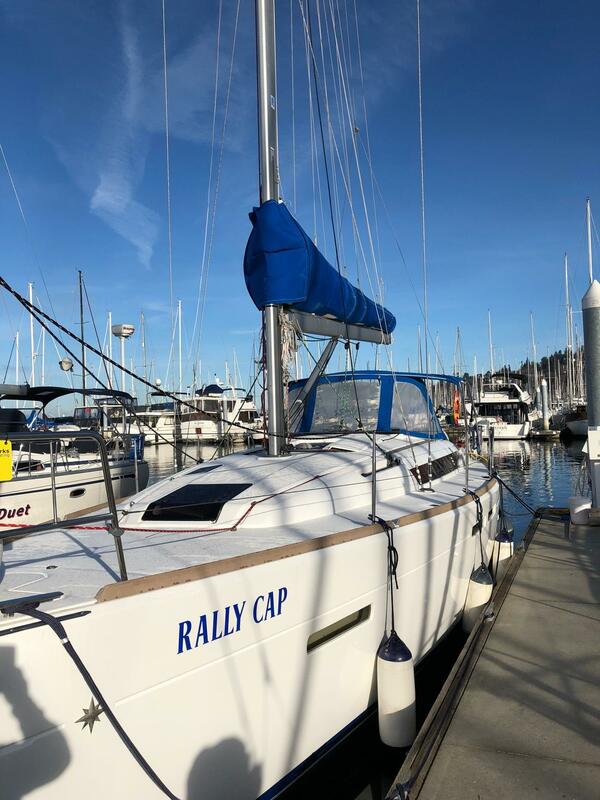 Rally Cap is designed for speed and carries a wonderfully balanced sail set. 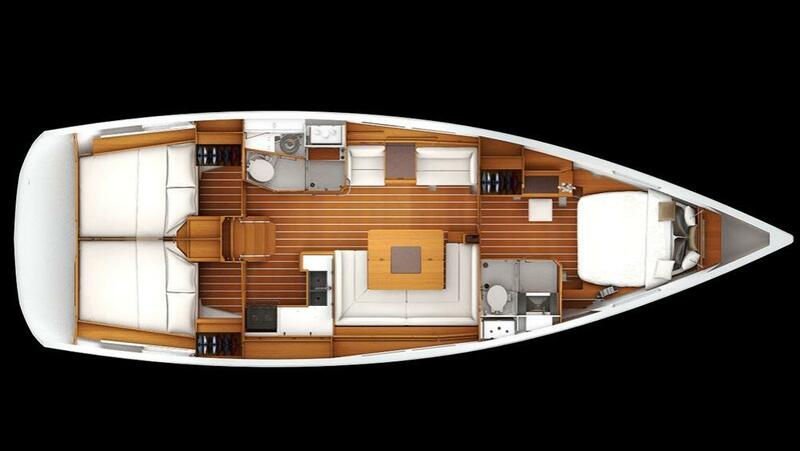 In addition to being a dream to sail, she’s also very comfortable to overnight on -- the best of both worlds! 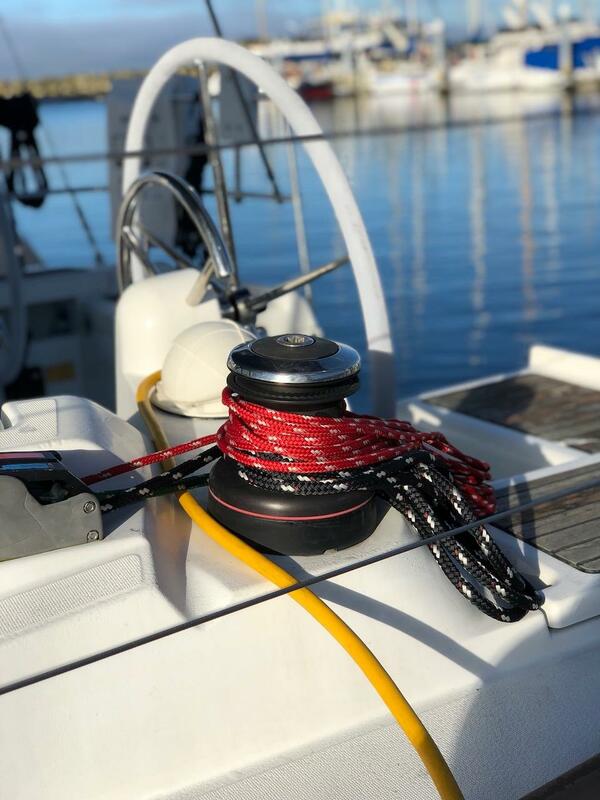 Rally Cap is equipped with a hoisting, full-batten dacron main sail, roller furling jib, and 4 Harken 2-speed winches — all rigged to the rear of the cockpit for maximum visibility and proximity between trimmers and helmsman. 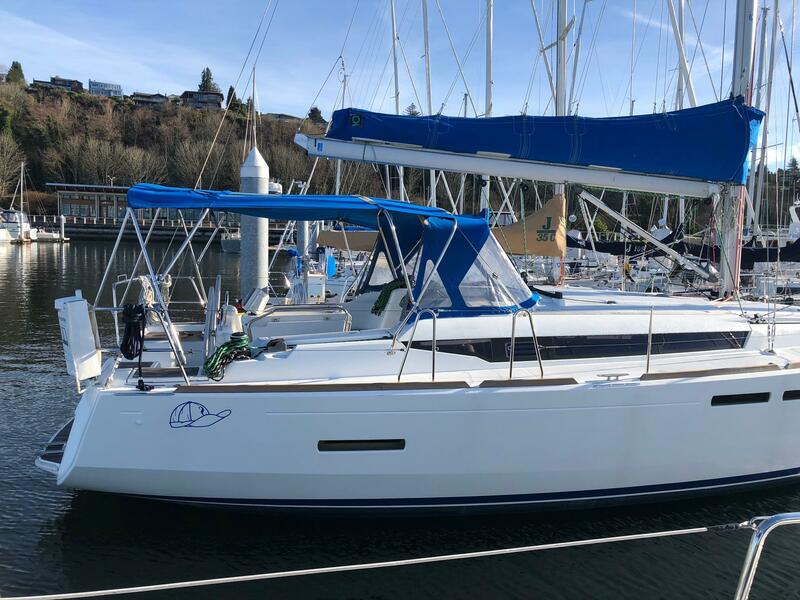 New for 2018: Raymarine Axiom 12 chart plotter and i70s displays at both helms, Raymarine radar, Raymarine AIS transceiver, custom dodger and bimini, new batteries, Webasto diesel heating system, and a Max-Prop folding propeller for maximum efficiency under sail. 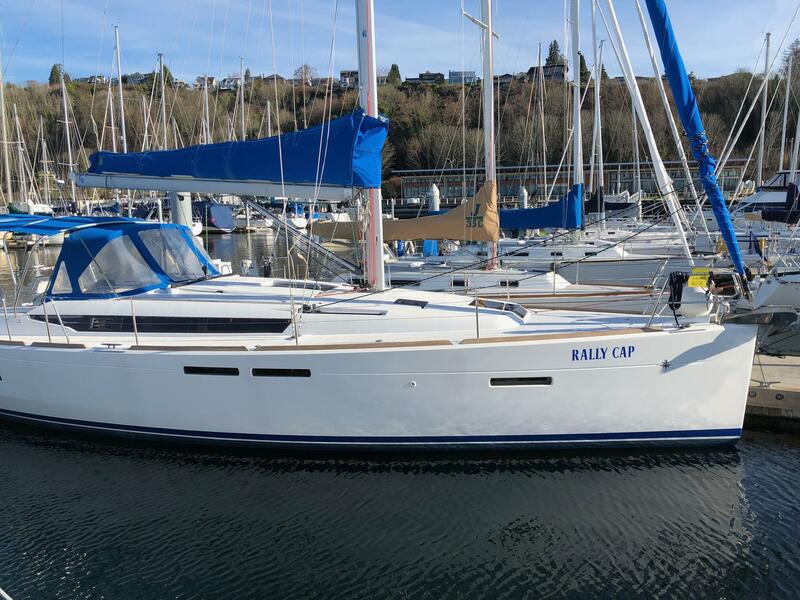 Very fast sail boat. .